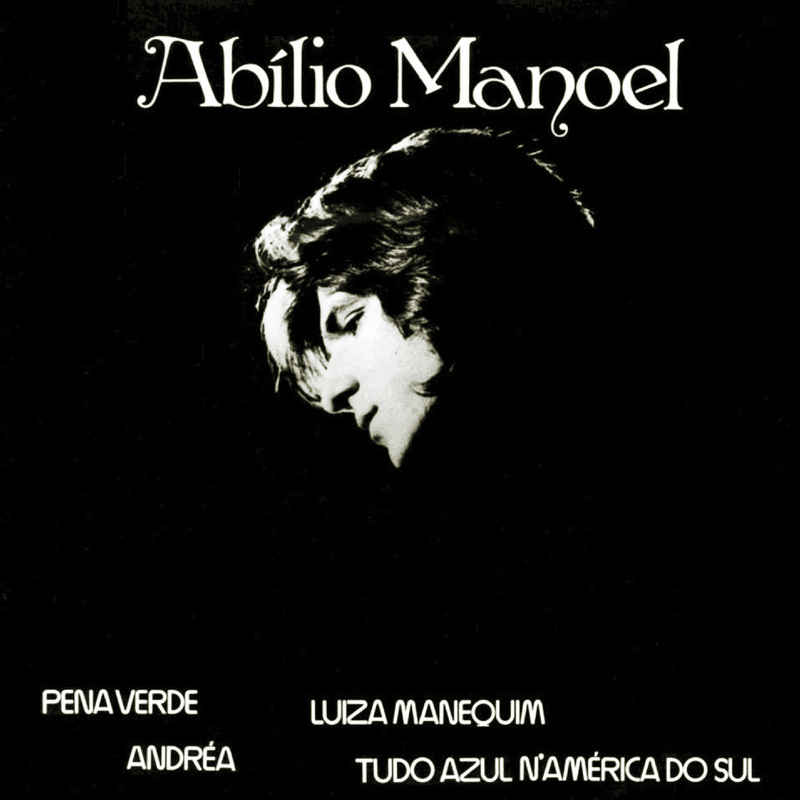 Abilio Manuel Robalo Pedro (Lisboa, February 3, 1947 – Itacaré, June 30, 2010) was a singer, composer and musical producer. 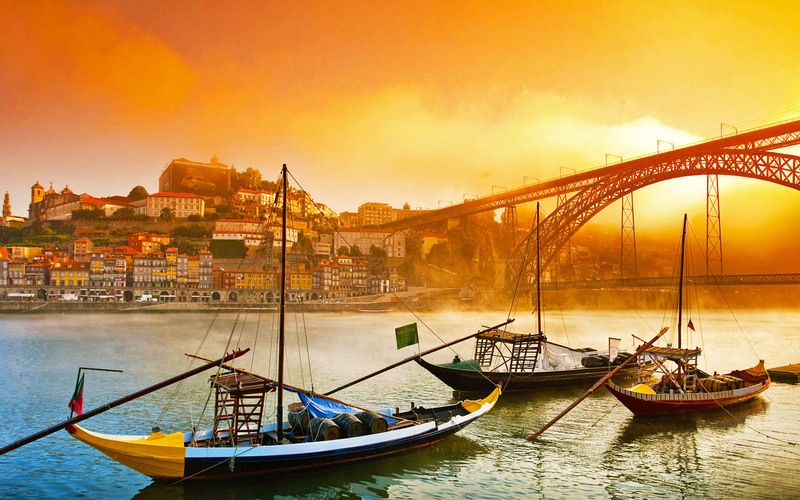 Portuguese settled in Brazil since he was seven years old, Abílio also worked as a radio broadcaster, advertising person, film director, audio operator and composer of jingles and soundtracks. Brazil. He started his career in 1966, preparing himself to join the Physics course. The first performance took place at the program Show do Meio Dia, presented by Pagano Sobrinho on TV Excelsior. In 1967 he entered to University of São Paulo and, while studying physics, he used to perform in concerts promoted at the university campus. That year, came an invitation to represent the USP on the first Festival Latino-América de la Canción Universitaria placed in Santiago, Chile. He won the award for best composer, thanks to the song Minha Rua. This presentation brought him the first contract with Odeon, who would record the following year, their first Lp, with musical direction by Milton Miranda and arrangements by Edmundo Peruzzi. In 1968, he competed at the TV Excelsior festival with the song Quem Dera and in the Festival Internacional da Canção with Catavento. After the I Festival Universitário from TV Tupi he participated with Samba de Roda and Tudo Bem, included on its first single. 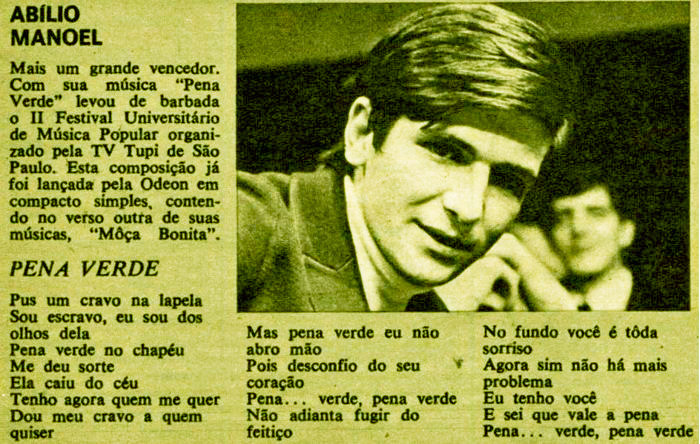 In 1969, won the II Festival Universitário, still on Tupi, with Pena Verde, perhaps his greatest success, whose single, reached the top of the charts in 1970, making it known throughout the country and Latin America! He released its second Lp (Pena Verde), in 1970, making television appearances and concerts in Mexico, where he still recorded a compact. During the 70’s launches four more Lp’s and several singles. In 1977 began working at Radio Bandeirantes from São Paulo. 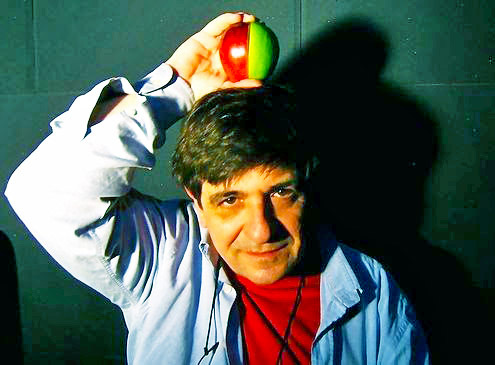 In 1980 he composed the soundtrack to Pixote, directed by Hector Babenco. Its last album, Curso das Águas, came out in 1983, by RCA Victor. Even not being his most ardent fan, today’s record shows us, with only four songs, all the quality behind this unfamiliar author. Slightly recognized even in Brazil, Abílio’s music has a perfect blend between samba, rock and folk. Once more, brazilian arrangers are over the regular, with exquisite horns, reeds and a whole context of scholar and pop music. With shiny moods that goes from yearning to funny, like Luiza Manequim, a spectacular horn-samba! And Tudo Azul N’América do Sul a satirical view about the early 70’s Rio: on one side the military terror (persecution, torture and death), on another, the sea, clear skies and blazing sun. The alienation lyrics that music (falsely) proposes, talks directly with Pilantragem, a musical movement from the same epoch, led by Carlos Imperial and Wilson Simonal, who preached always to look to the ‘good’ side of the life, though, with selfish, consumerist and sexist values (sic). Ona Bidaia! No credit to the musicians and arrangers.